Choppergate aside, Subramanian Swamy has dragged the Congress president’s name into everything, from Bofors to 2G. Congress president Sonia Gandhi married Rajiv in 1968 and shot to public limelight when the latter was made prime minister in 1984. Sonia has been heading her party for a good 18 years now and it is inevitable that she would be surrounded by many controversies in her long reign. A for AgustaWestland: This is hot off the press. Choppergate is a legacy of UPA2 and at that time it singed former IAF chief, Air Chief Marshall SP Tyagi. But now the Milan Court of Appeals in Italy has delivered a historic judgement against the scam. The key point to note is that the name of “Signora Gandhi” crops up four times. Of course, this is an Italian court not an Indian one, but the media got their headlines and the issue came up in Parliament. What a time for her bête noire BJP leader Subramanian Swamy to join the Rajya Sabha! B for Bofors: The Bofors scandal destroyed the prime ministership of Rajiv and even today remains one of the stickiest scam brand names ever. During UPA2, Swamy had written to then Prime Minister Manmohan Singh for asking that Sonia be prosecuted for being involved in a cover-up in the Bofors case. It surfaces from time to time like a bad penny. C for Cambridge: Swamy went to court accusing her of submitting a “false affidavit” while filing her papers in the 2004 Lok Sabha elections from Rae Bareli. She had mentioned Cambridge University. It was argued that she meant “Cambridge” and “university” was a typographical error and the case was luckily dismissed for her. D for disruptions in Parliament: Everyone thought that 45 seats in the Lok Sabha would finish off the Congress, but they used those MPs to disrupt Parliament regularly. Sonia has been caught many times on camera urging her MPs to kick up a storm in the Lok Sabha. She led a march against intolerance from Parliament to Rashtrapati Bhavan. One of her protests in front of Parliament with her hands raised led to a flurry of memes on social media, something she had escaped so far. Many politicians protest on the roads and then reach the top. Sonia first reached the top and then protested on the roads! E for editors: All the editors of India share an excellent relationship with Sonia and that’s why you’ll find very few stories against her. This media management was noted by Natwar Singh in his book One Life Is Not Enough, where he claimed a newspaper refused to publish one of his articles article because the editor felt “Soniaji would get angry”. However, for every reaction in mainstream media, there is an equal and opposite reaction in social media. Twitterati go after Sonia and all the journalists even perceived to be close to her, so much so that many editors dismiss Twitter as nothing but a land of trolls. But now with one bad news after another, Choppergate being the latest, Sonia is getting more and more bad press. F for foreign trips: Sonia and her son Rahul keep taking mysterious trips out of the country and we are not supposed to discuss any of the same. But that has led to endless speculation and Swamy keeps accusing her of managing her foreign bank accounts on a regular basis! G for the Gandhi legacy: Mahatma Gandhi passed on his legacy to Jawaharlal Nehru. That flame was taken forward by Indira and Rajiv, though the surname came from Indira’s husband and Rajiv’s father, Feroze Gandhi. Many Congress leaders have found her unfit to carry forward the Gandhi legacy but have kept quiet due to lack of alternatives and electoral victories. But some months back a party mouthpiece in Maharashtra called Congress Darshan questioned the legacy of both Nehru and Sonia! The writer was sacked but not before a huge controversy erupted. H for Hazare: In 2009, the Congress was looking at a mission 272+ in 2014. However scams were one part of the problem. Anna Hazare’s August Kranti agitation in 2011 laid the platform for a Narendra Modi led BJP-majority in the 2014 general elections. First Sonia tried to be behind the scenes and then she attacked Hazare accusing him of spreading “malicious misinformation”. Nothing worked and Sonia’s plans were shattered. I for illness: In 2011 Sonia had a mystery illness and she flew out of the country and till date there is no confirmation. Swamy cried “cancer” and accused her of spending Rs 1,880 crore on it! Either way the grapevine buzzed loudly. J for Javier Moro: Javier Moro wrote El Sari Rojo or The Red Sari which happened to be an unofficial biography of Sonia. Congress leaders cried foul and got the book banned during UPA, but it saw its India release after Narendra Modi came to power. K for Kesri: Sonia ousted the then party president Sitaram Kesri in a virtual coup and there were many reports of Sonia supporters locking Kesri in the toilet and then going ahead and making a decision! What a way to begin your political career. L for Leftism: While PV Narasimha and Manmohan Singh steered the party to the economic Right, Sonia steered it towards Left again. MNREGA got the Congress votes but was seen as an out and out populist scheme. The Food Security Bill was seen as even more Leftist and controversial. There was even a move to hand out mobiles to the poor! M for Manmohan Singh: Sonia was accused of being a Super PM and reducing MMS to a puppet. Twitter jokes and memes on this topic still number in the thousands having being shared millions and millions of times. N for National Herald: Sonia finally had to appear in court in the National Herald case. She has become an accused in the scam and this threatens to be one long haul as it will go from the sessions’ court to the High Court and finally the Supreme Court no matter what the verdict. O for “office of profit”: The National Advisory Council was formed in 2004 and ran into controversy from Day 1. Sonia was accused of getting all government privileges through this post which she wouldn’t have got as a mere MP. It was accused of being an “office of profit” that clashed with her role as MP and her post had to be scrapped in 2006. Emboldened after the unexpectedly strong 2009 UPA victory, it was revived in 2010 only to be scrapped again in 2014 following Modi’s victory. P for Patel: Her number one aide is Ahmed Patel, but he is now in the news for all the wrong reasons. His name has come up in the (AgustaWestland) Choppergate and is also doing the social media rounds in the Ishrat Jahan case. If Patel falls, Sonia will be in trouble. Q for Quattrocchi: Sonia got a lot of bad press for her closeness to Ottavio Quattrocchi, an Italian businessman who was accused of being a conduit for bribes in the Bofors case. R for RTI: Whatever questions were asked about Sonia (like Income Tax Returns and foreign travel) under the Right To Information Act were denied during UPA. That led to people calling her an extra-constitutional authority accountable to no one. S for Swamy: Nobody has gone after Sonia as has Subramanian Swamy. Swamy has dragged her name into everything from Bofors to 2G. Most of Swamy’s Sonia controversies have been dismissed as conspiracies in the past, but he is being taken more seriously with each passing day. T for Tavleen Singh: Very little is known of Sonia’s personal life, but that changed when Tavleen wrote extensively about her in Durbar, giving ammunition to Sonia’s detractors. The book linked her to a scam in Maruti. Her latest book India’s Broken Tryst also promises to make Sonia very uncomfortable. U for U-turns: Sonia has had her fair share of U-turns. First she wooed Mulayam Singh for and then shunned him for life. She fought with Sharad Pawar and kicked him out of her party but did business with him later all the same. She had differences with DMK head honcho M Karunanidhi over the LTTE (that assassinated Rajiv) but still allied with him. V for Vadra: Her son-in-law Robert has been a major cause of embarrassment thanks to his many utterances, scam allegations, his SPG cover and his name on the security list of airports. Damaadgate has got her a lot of bad press. 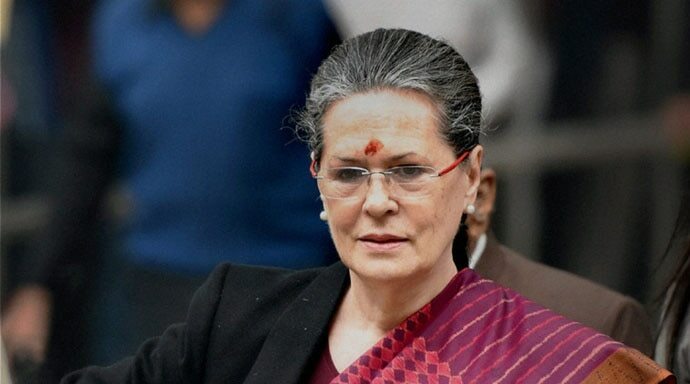 W for wealth: American website Business Insider years back claimed that Sonia was the globe’s fourth richest politician with a net worth ranging from $2 billion to $19 billion! X for xenophobia: Many Indians still hate her for her “foreign origin”. Pawar along with PA Sangma and Tariq Anwar formed the Nationalist Congress Party NCP in 1999 after they were kicked out from the Congress protesting Sonia’s foreign origins and her right to lead the party. Sushma Swaraj (“foreign minister” now) threatened to shave off her head if a foreign origin person like Sonia became the prime minister. Swamy also refers to her as “Sonia Màino” all the time and her “Italian” origin keeps featuring on Twitter regularly. Y for Yuvraj Pappu: The Nehru-Gandhi dynasty is run like a monarchy, but her efforts push her son Rahul as her successor has got maximum flak both within the party and outside it among the citizens of India. Z for zero experience: Sonia was probably the first person to be offered the post of prime minister of India with zero experience in 1991. She had zero years’ experience as party worker or government servant or anything of note. Things didn’t change much in 1998 when she became Congress president with zero experience. Her inexperience showed when she hurtled from one disaster to another (like missing out on the PM’s post by one MP) till 2003. However, Indian politics gives everyone endless chances and her moment finally came in 2004.